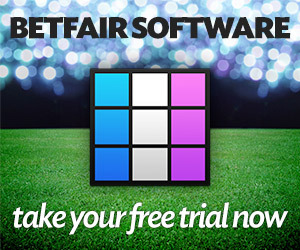 Free Horse Racing Tips and Trends: Sat 20th April 2019 - Exchange Trading, Sports Tips And Crypto. It’s been a busy week for the ITV Racing cameras, but there us no let-up as the LIVE Saturday action continues from Musselburgh and Haydock. We’ve a flat card at Musselburgh, with the competitive Scottish Sprint Cup the feature, among four LIVE races – did you know 11 of the last 15 Scottish Sprint Cup winners carried 9-1 or less in weight? Then at Haydock we are jumping with three LIVE races on their Challenger Series Final day. Plenty to look forward to and, as always, we’ve got it all covered with all the key trends and stats for the LIVE ITV races. JUICESTORM VERDICT: Only two previous renewals – with the winners coming from stalls 3 and 4. Three Saints Bay (3) and Hayadh (4) are the horses coming out of those berths, while the last two winners carried 9-3 or 9-4. The Garry Moss yard (50%) and the Rebecca Bastiman (19%) camp also do well at the track with their 4+year-olds, so with that in mind the Moss-trained PORTH SWTAN and HAYADH catch the eye. Porth Swtan is a proven CD winner at the track and comes here having won well last time out at the track too. A 3lb rise looks fair for that last win he can be involved. Hayadh is also a past CD winner and was only 1 ¾ lengths behind Porth Swtan but gets in here on slightly better terms and with that run also coming off a 157-day break can be expected to come on for it. Of the rest, Raselasad and Lake Volta can be ruled out. Trainer Iain Jardine is just 1 from 42 with his 3 year-olds at the track. JUICESTORM VERDICT: The William Haggas yard have a decent 32% record with their runners at the track and also won this race in 2014. Therefore, it’s hard to ignore their POLITICISE here. This 3 year-old has been gelded since his last run at Windsor, but with just three career runs should have more to come. He won well at Newbury last September over 7f but should be a much stronger horse with another winter on his back and it’s interesting the Newmarket yard are sending him so far north. Of the rest, the Richard Fahey yard (21%) and Mark Johnston team (22%) boast decent records at the track, so their Coolagh Forest and Reggae Runner have to enter the mix too, while On The Line has been running well for the Hugo Palmer camp and shouldn’t be far away either. JUICESTORM VERDICT: The 9 year-old Line Of Reason won this prize in 2017 and showed he retains much of his ability with a fine second at Beverley last time out. He’s 3lbs lower than that win too and with just 8-12 in weight can go well at a nice price. 12 of the last 15 runners had run in the last 4 weeks too, so the likes of Marine James, A Momentofmadness, Final Venture, Copper Knight, Savalas, Harome & Eeh Bah Gum will have that to overcome. The Mick Appleby yard have a good record in the race and also have a 29% record with their 4 year-olds or older at the track. With that in mind, their SAAHEQ (e/w) gets the nod. This 5 year-old gets in here with just 8-3 in weight and with 9 of the last 15 winners also coming from a double-figure stall then draw 15 looks in his favour too. He’ll be fitter than most after a spell on the AW this winter and having won 2 of his 6 runs on the turf then his record on the green stuff isn’t bad either. Of the rest, CD winner PRIMO’S COMET (e/w) ticks a lot of the main trends too so might also be worth a small interest off it’s light weight. JUICESTORM VERDICT: Just the four past runnings of this race to go on, but all four returned a double-figure price, were aged between 5-7 years-old and failed to win last time out. It’s also interesting that despite being run over 1m6f, three of the last 4 winners came from stalls 3-4 (inc) so there is a small pattern building up here too. Mirsaale has stall 3, while Kellys Dino has the 4 draw. However, it’s hard to get away from the 60% strike-rate that the Archie Watson yard have with their 4 year-olds + at the track, so their ULSTER (e/w) is the call. This 4 year-old carrying only 8-10 in weight and heads here fit from the AW after two wins and two seconds of late. Yes, this will be his first run on the grass, but there is no reason to suggest it won’t suit. The consistent Austrian School can get involved too, but has become a hard horse to win with – trainer Mark Johnston also has Hochfeld and LUCKY DEAL (e/w) in the race and of that pair the last-named can do best. He’s another that ticks a lot of the main stats and will be fit from the AW too. His turf record is decent too, with 10 runs and 7 top three finishes (2 wins). JUICESTORM VERDICT: It’s interesting that all three previous winners of this race all won with a light weight, so the three at the foot of the weights – Peterborough, Tim Rocco and Teaser – who all carry 10-5 or less are worth a second look. Of that trio, the Oliver Greenall-trained TIM ROCCO (e/w) looks worthy of some support with jockey Paddy Brennan booked to ride. He’s won two of his last three and despite being a tad disappointing last time the Ludlow track might not have suited and back at a more galloping and open venue he should like it more – his recent wins came at Donny and Newcastle, which are both left-handed tracks, like Haydock. Of the rest, the Henry Oliver runner HIJAN is another to have on side after coming here off the back off two good wins. 2 of the last 3 runnings of this race have also been won by conditional jockeys – Jason Dixon rides this 6 year-old and claims a handy 7lbs. A 6lbs rise for his recent 4 ½ length win at Ludlow looks fair and he can go well again. Richard Johnson riding Cubswin is sure to be popular, while the consistent trio of Arthington, Cause Toujours and Red Tornado are others that can get in the mix. JUICESTORM VERDICT: Trainer Tom George is only 2 from 22 with his chasers at the track so his Sumkindofking is overlooked based on that. Expect the front-running Loose Chips to take them along but at the age of 13 he’ll do well to stay there. It’s interesting that trainer Alan King runs two – Mahlermade and Salmanazar – both are consistent sorts, but don’t win enough at the moment for me. There was a sign that DUEL AT DAWN (e/w) was returning to some sort of form last time, when third at Exeter, so at a nice price he’s worth an each-way interest off a 2lb lower mark. Quarenta is another to like after his win at Warwick last time, but he only got home by a neck and a 5lb rise makes life harder. So, the safer call looks to be the only course inner in the field – THE PADDY PIE. This 6 year-old has finished in the top two in his last four and even though he could do with brushing up his jumping the step up to 3m should help on that score, with things happening a bit slower. JUICESTORM VERDICT: Tim’s TRIXTER (e/w) ran well for much of the way last time out at Sandown in a decent race and was actually only beaten 6 lengths. The longer trip looks fine and the better ground will certainly be a bonus. He’s off the same mark but in this slightly easier race feel he’s got more to come – all three of the recent winners were aged 6 or 7 years-old so this 6 year-old also ticks this trend. Of the rest, 2 of the last 3 winners also carried just 10-9 or less, so the three at the foot of the handicap here – Faithful Mount, Sliding Doors and Sunnytahliategan fit the bill on that score – it’s interesting that ALL three are also trained by Ian Williams! If the prices allow, it might be worth having a split stake interest in them all. Creep Desbois is another to note that’s been running well of late, while if you can forgive it’s last run then the Fergal O’Brien runner – Skidoosh – has certainly got the form to go well too – the Ben Pauling yard also have a decent 50% record with their hurdlers here and handle the last two mentioned. Finally, the other yard with a good record with their hurdlers at the track is Emma Lavelle (33%), so her BOREHAM BILL (e/w) is the other one to have on side. This 7 year-old was running well last time over a longer trip until just getting tired in the closing stages. The return to 3m will help and with only 9 runs over the sticks should have more to give. There are 131 Guests online and 27 Members Logged In currently reading JuiceStorm.com. Welcome everyone. Join TradeChat for a chance EVERY month to win a year's subscription to TradeSelect - worth £600!